Welcome back to the blog. Today I have Nancy Raven Smith talking about her pantsing method of writing her stories. Hi Cindy. I appreciate visiting today on your Guelph Write Now Blog. I thought I‘d talk a bit about how I’m a pantser – sort of. If a writer writes on tight deadlines, or needs projects pre-approved before writing them, outlines are definitely a must. This discussion probably won’t be of interest to people who outline except to see how the other side thinks. I’m an admitted pantser. For those unfamiliar with the term, it’s used to describe a writer who doesn’t outline their projects before beginning writing. They write by the seat of their pants. A writer who is a pantser lets the characters and/or the situations reveal themselves as they write. Of course, this kind of writing leads to a lot of hair pulling and dead ends, followed by bad language and massive rewriting. But what it does do is lead the story into lots of interesting things that the writer hadn’t thought of when creating the outline. Hopefully things that are unique and intrinsic and make the story different from others. For me, an outline feels too rigid, and I get bored trying to follow one. And if I’m bored as the writer, you can imagine how bored a reader will be with my work. Also, in a true outline, all the twists, turns, and events – plus all the decisions have been made beforehand. With all the decisions made, I lose interest in a story. I originally studied and wrote as a screenwriter. Screenplays are much shorter than novels. They generally run from ninety to a hundred and twenty pages. For screenplay students, the three act structure is critical. The late Syd Fields, a screenwriting guru, opined that it’s actually a four act structure if you count the story’s mid point as an act break. That’s an opinion that I agree with as the midpoint is also a turning point. Here’s how that works. A one hundred-twenty page screenplay structure would be roughly pages 1-30 = act 1, 31-60 = first half of act 2 ending at the midpoint, 61- 90 = the second half of act 2, and pages 91-120 = act 3. Bear in mind that any act could have more or less pages. But at the end of each act comes a major turning point for the story. Multiply that out for a novel of 300 pages you’d have pages 1-75 = act 1, 76-150 = the first half of the second act ending at the midpoint, 151-225 = the second half of act 2, and 226-300 = act 3. In between those act breaks, you’ll have smaller twists, turns, and surprises. Lots of room to explore. As I admitted, I’m a pantser, but here’s the ‘sort of.’ When I write a novel, I have a general sense of the ending and I make a guess at the act breaks (including the midpoint) before I start. I may or may not have an idea of the major theme. Of course there will be lots of those twists and turns between the act breaks that I haven’t discovered yet, but I use the major turning points of the story as a ‘candle in the window’ to aim for as I explore. I also leave myself a lot of flexibility. If I discover something which will make a better act break, I’ll replace the original one. Using this method has given me the freedom to explore while writing and to still head my story in a forward direction. At the end of the first draft, I still say bad words, bang my head against the wall, and then start the rewrite process to tighten the writing, the acts, and to heighten any themes which have emerged. This process isn’t for everyone, but I wanted to share it in case it includes things that might help another pantser. A fall from grace costs Lexi a position at a top New York financial institution. She ends up in a job at a small private bank in Beverly Hills. But that’s okay, she still gets to work in her favorite field – catching white collar crooks. At least that’s what she tells herself. 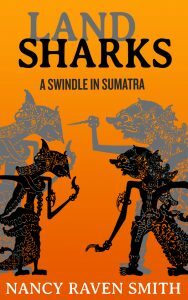 But when Karista, the daughter of one of the bank’s principal investors, runs into danger while traveling in Indonesia, Lexi’s job comes to depend on her ability to save her. Even worse, Lexi will have to baby sit Steve, her boss’ well-meaning but spoiled son, while going undercover to reach the heiress. Lexi’s unwanted tropical assignment soon spirals into chaos as she has to outrun fashion-forward Batak natives, outwit an arrogant FBI agent, help Steve find his stolen Air Yeezy sneakers, and figure out why her ardent former lover and debonair gentleman thief, Andre, has arrived at the same jungle resort. Lexi will have to be very good or very lucky to survive it all. NANCY RAVEN SMITH grew up in Virginia where she ran horse sport events. On her farm, she rescued horses, dogs and cats and is an advocate for animal rescue. Later in California, she traded her event experience for film work. Her screenplays have won numerous major awards. Raven Smith decided to write one idea as a novel and discovered a passion for writing mysteries. 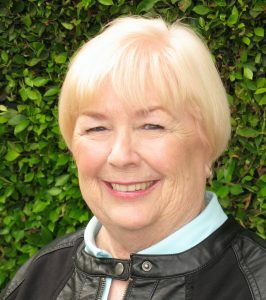 She is a member of Sisters in Crime, Mystery Writers of America, Women in Film, and Romance Writers of America. Thanks for the post, Nancy! I’m more plotter now than pantser but I used to be a pantser. I think I fall somewhere in the middle now.